Heaven and earth serves as a chessboard, with living things serving as the chess pieces! Unwilling to act as a pawn, one instead becomes the player! Being defeated in this game of chess, one dies and is eliminated! Being the victor, one experiences boundless longevity! One contently enjoys decades of life before their stones are encircled by the opponent, their bodies buried under the loess, and disappearing forever. Or can one leave the chessboard, no longer playing against people, but instead play with Heaven itself, winning oneself eternal life? I’ve come, and I want to live through 10000 lives without any boundaries! In this world where strength is revered, someone is always controlling the strings of your fate, like a piece is controlled by the player in chess, and if he wished he could make you die anytime. Cultivation is always considered going against the heavens, and these pieces sometimes want to revolt, go against heaven and seize their own fate from the hands of the controller, but many fall in the due process. Gu Hai arrived in this world from earth, and after a very long arduous journey he reached the Houtian Completion Stage and is at the end of his lifespan. Once again to have a long life the sheep has to jump in between the wolves to grasp this opportunity. 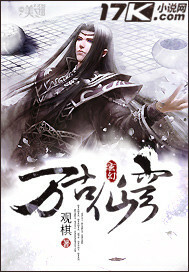 Follow Gu Hai as he gets entangled in a plot from millions of years ago and use his brains to seek eternal life while in the process founding his own empire, making friends and challenging fate. To understand more about the main storyline check out the prequel here.